Every entrepreneur, blogger, and website owner is aware of the importance of social media content strategy. If you don’t make yourself visible for a greater audience, you won’t reap the benefits of your online presence. 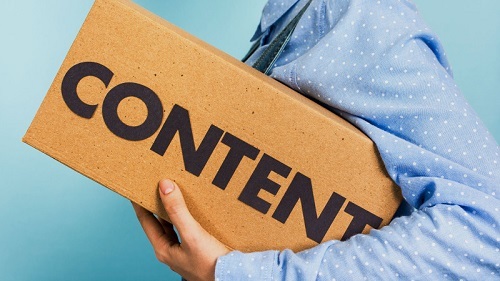 Without superb content, you won’t promote your brand in a good way. You realize you need high-quality articles, blog posts, and social media statuses, but are you aware of the ‘shareability’ factor? You need to create social media content that your target audience will love. Otherwise, the marketing campaign will make no sense. How can you be sure that people love what you post? There is one certain indicator: sharing. You publish a blog post or article at your website, and it immediately gets dozens of shares on social media. The post can boom within minutes: it’s available for all friends of the one who shared it, and some of them decide to feature it on their own profiles. The circle expands and you get instant social media fame. The only question is: how do you create content that gets so many shares? You can’t solely rely on your instincts. This strategy requires quite a bit of planning and diligence. 1. Analyze your audience. Understand their needs! Who are you writing for? Who would read the content? College students, travelers, teenagers, unemployed people, or business owners? Speak their language! What problems does your audience have and which solutions can you offer? When can you reach the greatest number of people? You need to publish in a moment with high social media activity. People love getting tips that solve some of their problems. For example, you needed to find out how people can share your content more, so you started reading this article that offers proper solutions. Once you identify the problems of your audience, you should offer effective tips that they can implement into practice. The key to social media content management is creating useful articles, blog posts, and social media updates. For example, if you’re selling clothes, then you can offer tips on how to fit a trendy piece into a harmonious outfit. Social media is the place where you can interact with your fans, followers, and customers. If you don’t achieve high level of audience engagement, you won’t reach great popularity on social platforms. When you create content, don’t focus solely on the piece you’re about to publish! Think about the discussion it would encourage. Will it impose questions? Will the readers want to comment on it? If you get plenty of comments, more people on social media will see the post. Thus, you’ll get more shares as well. Ask questions! That’s a great way of generating conversations. Of course, you need to respond to the comments if you want to gain appreciation. Have you noticed the effects of Oatmeal’s responses on his reader’s comments? Let’s face it: not everyone has the time and attention span to go through a lengthy article. If people don’t read it, they won’t share it! That’s why you need to add visual incentives that will break the text up and enable the readers to read it without getting bored. Browse through websites like iStockphoto and Stock Footage – they provide royalty-free stock images and videos that will add appeal to the page. Think about infographics! They get lots of shares because they present a great volume of information in an easy-to-read format. You can use Canva, Piktochart, Easel.ly, and other online tools to create awesome infographics. When you’re maintaining your own website or business, you can hardly find the time to analyze the audience, think about their problems, discover solutions and create awesome content that would get tons of shares. That doesn’t mean you can neglect this aspect of content marketing; you should simple delegate it to someone who can handle the responsibility. For instance, you can use writing service that offers assistance by talented writers and editors. You simply provide the instructions and wait for your custom-tailored content to be ready on time. 6. Provide convenient sharing options! If someone reads a great piece of content on your site or blog, he will immediately search for the social sharing toolbar. No toolbar – no shares! The reader doesn’t want to waste time copying the link and pasting it into social media; it’s just too much work for something so simple. Make it easy for your visitors to share each article you publish! Feature the social sharing buttons on a prominent position at the top or underneath the content. This simple addition will quickly lead to a great increase in shares. Hashtags make you popular! The more people find your content, the more shares it will get. This simple promotional tool is functional across many social platforms. Use popular hashtags and start your own trend that will engage the audience. People who use hashtags are more likely to get involved in social conversations and promote your brand in front of their friends. Be as creative as possible, since hashtags can get you in the wrong direction if you don’t know how to use them. Play the card of provoking emotion! When your content awakens happiness, astonishment, sadness, hope, sadness, or any other emotion, the readers will relate to it and they will recommend it to their friends. It’s best to make the topics and recommendations positive and fun, but don’t forget that emotions of disappointment from society will also get you tons of shares. Again, think about your niche and the needs of your target audience, and you’ll surely realize which emotions you can awaken. Well, okay… it’s not that easy after all, since the strategy does require hard work. However, if you do everything properly and you stay committed to your long-term goals, you’ll keep getting more shares by the day.